In 2009, Mohamed Nasheed, the president of the Maldives (before being overthrown in a recent coup), held a cabinet meeting underwater. He sat at a table anchored to the ocean floor, wearing a wetsuit and oxygen tank, and signed a law meant to make the country carbon neutral within a decade. The Maldives is the lowest-lying nation on the planet, with 400 miles of coastline and one of the world’s most densely populated capitals. It is, according to Rob Nixon, professor at the University of Wisconsin-Madison, an “invisible nation of no apparent consequence,” and as sea levels rise due to climate change, it may well be the first nation whose entire population becomes climate refugees. President Nasheed’s underwater meeting was a desperate attempt to catch the world’s attention, to add dramatic urgency to a process that, however disastrous, occurs over a period of decades. The Maldives are far from alone: 43 island states have announced that, without swift global action against climate change, they face “the end of history.” From far away on a bright spring morning, this statement could easily seem hyperbolic — if it were heard at all. But for those at risk, it’s the frightening truth. And therein lies the challenge. 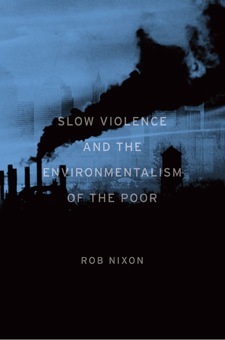 In Slow Violence and the Environmentalism of the Poor, Rob Nixon writes pragmatically about the difficulties in fighting what he calls “spectacle deficient” environmental crises like climate change, compromised ecosystems and toxic waste, whose victims are spread over place and time; the Maldives’s plight is only one of countless examples, and perhaps even more evident than most. These processes, Nixon says, are “slow violence”: pervasive, devastating — and unnoticed. Just as slow violence is made invisible by its subtle pace and scattered impacts, its victims themselves are invisible, at least in the tiny and shifting lens of the world media. These are the micro-minorities, the shantytowns downriver from the manufacturing plant, the marginalized women in an already-marginalized society. Often, slow violence “occurs in the passive voice”; the suffering is a shame, of course, but it comes as a side effect rather than through the immediate action of any responsible party, leaving a convoluted trail of excuses and denial. Whose fault is it when a child goes hungry because his region has lost its topsoil and his family cannot grow food? Whose fault is a leukemia cluster that comes 10 years after and 100 miles away from any sort of disaster? I don’t know, but it’s not mine. Each chapter in the book profiles a writer-activist who uses his or her writing to memorialize and call attention to a case of slow violence. In contrast to scientific or political reports, which are often written with such opaque language that they are inaccessible to both the victims they describe and to potentially-sympathetic outsiders, these writers use their work to build connections between their communities and the outside world, to make accessible that which is hidden. We see Ken Saro-Wiwa, an Ogoni writer whose homeland in Nigeria was exploited for crude oil extraction, and who led a nonviolent campaign for environmental rights before he was put to death by the state. We see Wangari Maathai shaping Kenya’s Green Belt Movement as a feminist response to militaristic, male-dominated ideas of national security: “Losing topsoil,” she wrote, “should be considered analogous to losing territory to an invading enemy.” Nadine Gordimer’s short story “The Ultimate Safari,” about a group of refugees slipping through South Africa’s Kruger National Park, is read as a commentary on conservation refugees, the illusion of authenticity and the legacy of racism in South Africa’s tourist-oriented game reserves. The books and writers that Nixon profiles become opportunities for reflection, as he contextualizes each topic — dams, fossil fuels, depleted uranium — in terms of its global significance. Nixon and the stories he tells also cast light on the differences between top-down and bottom-up environmental movements. “Full-stomach” environmentalism in rich nations, for instance, has tended to focus on the preservation of charismatic megafauna and majestic landscapes, often to the exclusion of the people native to those landscapes. This is the environmentalism of Priuses, debt-for-nature swaps, recycling campaigns and dreams of going “off the grid.” Poor-nation, “empty-belly” environmentalists, by contrast, “experience environmental threat not as a planetary abstraction but as a series of inhabited risks.” Although Nixon doesn’t address the environmental justice movement among poor and minority communities in the U.S. as an example, the principle is similar: environmental justice advocates, like poor-nation environmentalists, are often spurred to action by a direct threat to which the larger society — itself the perpetrator — pays little attention. There’s power to be gained by the two sides coming together, by environmentalists embracing the diversity of their causes alongside activists for women’s rights, minority rights and other rights discourses. If, as Maathai writes, “Poverty is both a cause and symptom of environmental degradation,” then each movement can be strengthened by joining forces with the other. 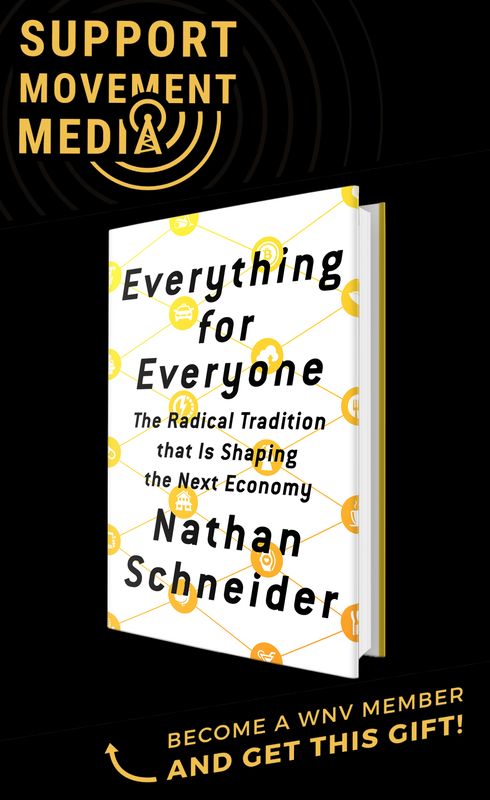 I thought the book was worth buying for its introduction alone, which presented the idea of slow violence and the practical and political challenges behind fighting it. The chapters that follow are a gallery of horrors: one scene of violence after another, each seemingly insurmountable and somehow less surprising than the last. Yet, remarkably, this is the least depressing environmental book I’ve read in years. By presenting these disasters alongside the writer-activists working to counteract them, Nixon leaves no room for despair. Instead I’m left buoyed, hopeful and — after 300 pages — impatient to learn more.